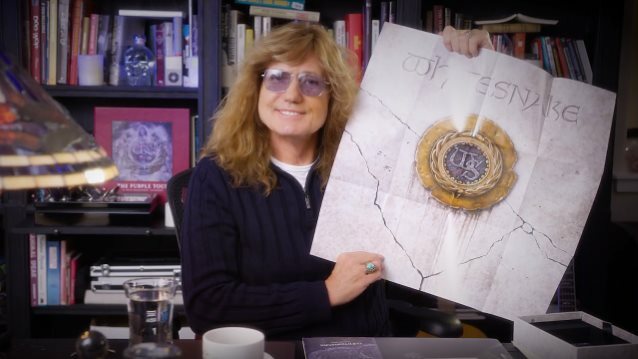 David Coverdale can be seen in a new video unboxing the Super Deluxe Edition of the 30th anniversary reissue of Whitesnake’s classic 1987 self-titled album ahead of its release on October 27. The band’s most-commercially successful record, “Whitesnake” sold more than 8 million copies in the States and earned Top 5 chart status in several countries around the world. The 2015 project saw Coverdale re-record classic songs from the Deep Purple’s Mark 3 and Mark 4 records he appeared on: “Burn” (1974), “Stormbringer” (1974) and “Come Taste The Band” (1975).